Festive Strawberry Melon Cups Low-Carb Style - Low Carb, So Simple! 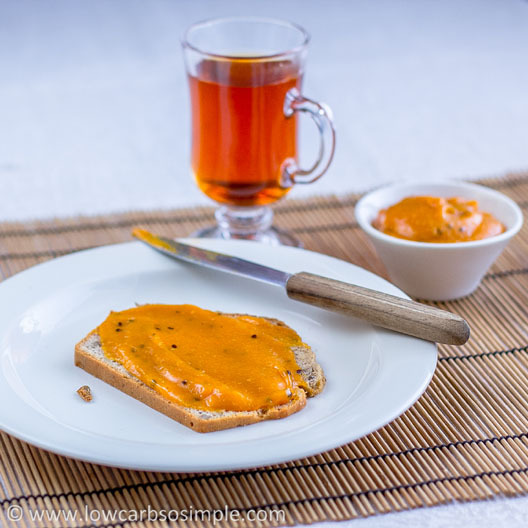 | Low-Carb, So Simple! Slice the strawberries or cut in half. Slice or cube the watermelon, or make balls using a melon baller. 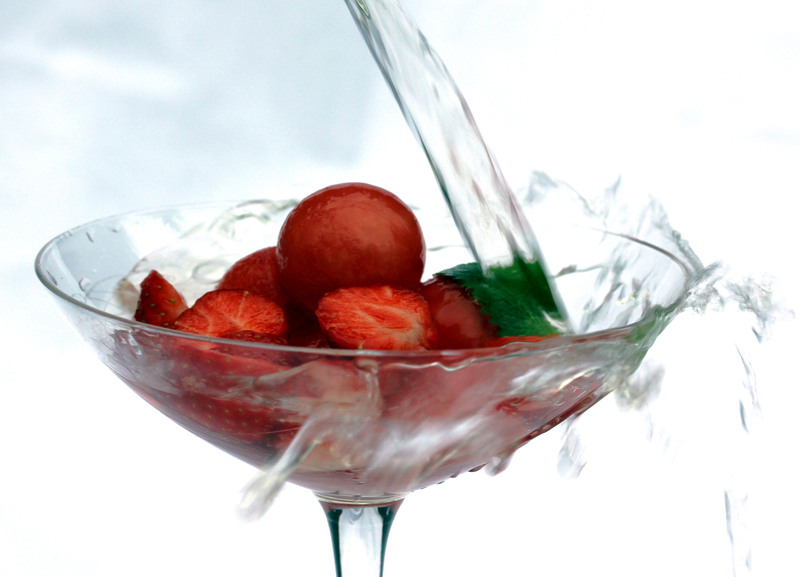 In a medium bowl, mix gently the strawberries, watermelon and vanilla stevia. Place the strawberries and watermelon in dessert bowls. 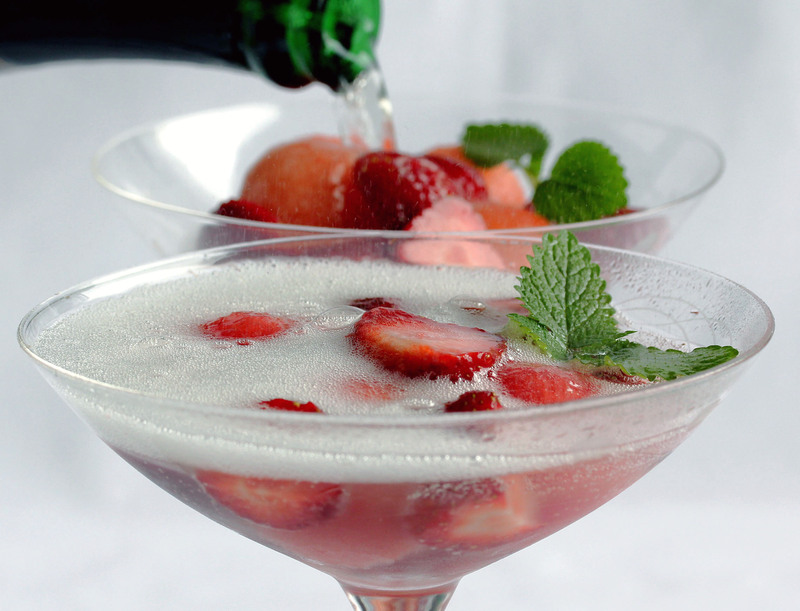 Pour sparkling wine gently over each serving. This is again a very simple and easy dessert to make, very quick as well. Just ensure that all the ingredients are well chilled for maximum enjoyment. In my experience organic watermelon is sweeter than non-organic, however this can differ. Just adjust the amount of stevia to your taste so that the result is the sweetness you want. You can prepare the strawberries and watermelon and let them marinate in vanilla stevia while you are preparing and eating the dinner. Just before serving this dessert — or at the table in the front of the dinner guests — you can pour the sparkling wine over each serving. 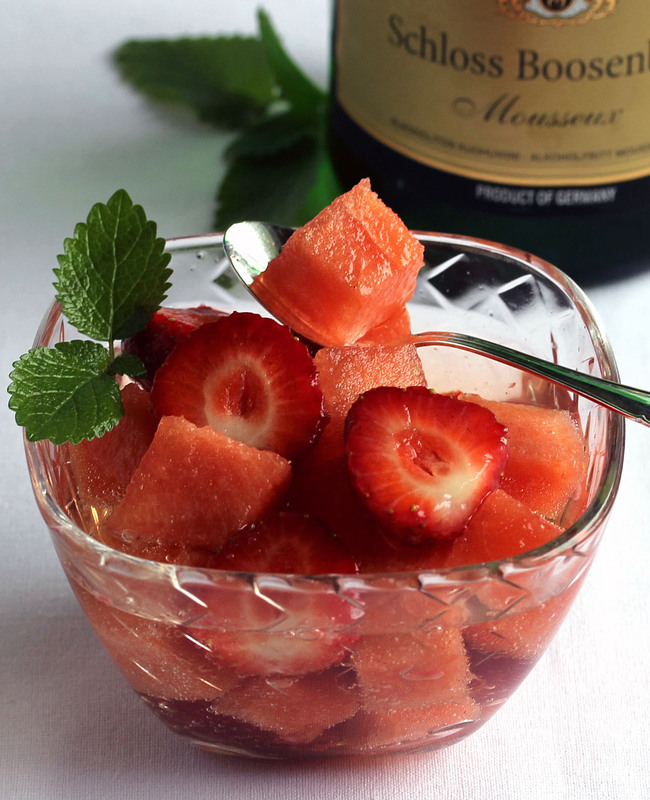 Don’t let the dessert stand after adding the sparkling wine. If you don’t have fresh strawberries at hand, you can use frozen strawberries which are almost completely thawed but still cold. However, fresh strawberries make this dessert perfect. 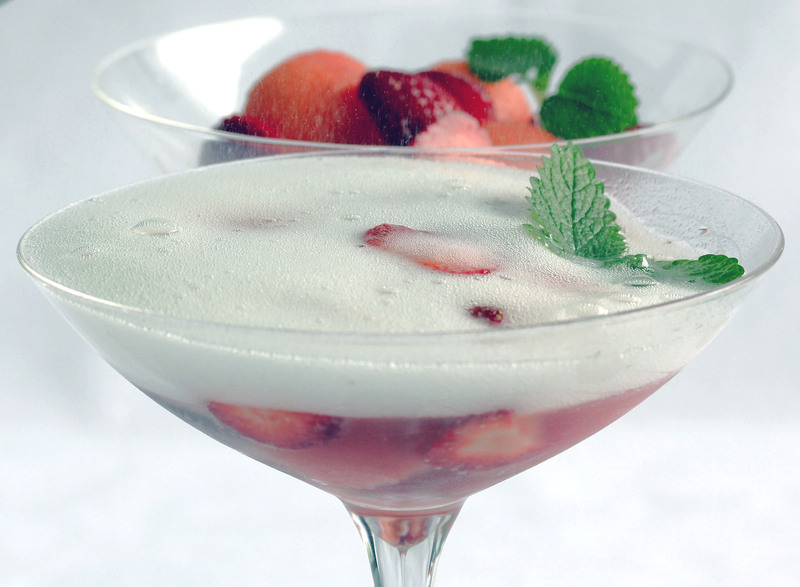 Decorate this luxurious dessert with lemon balm (Melissa officinalis). 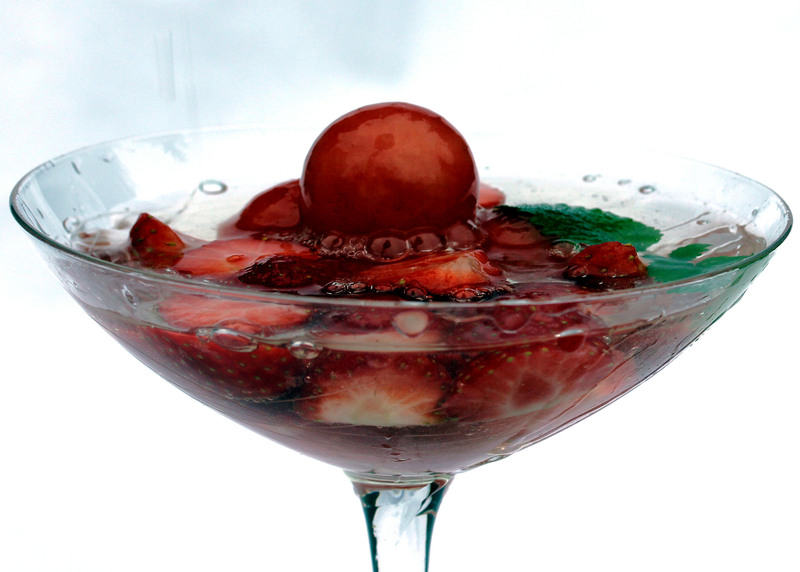 I created this dessert when the strawberry season was just beginning. 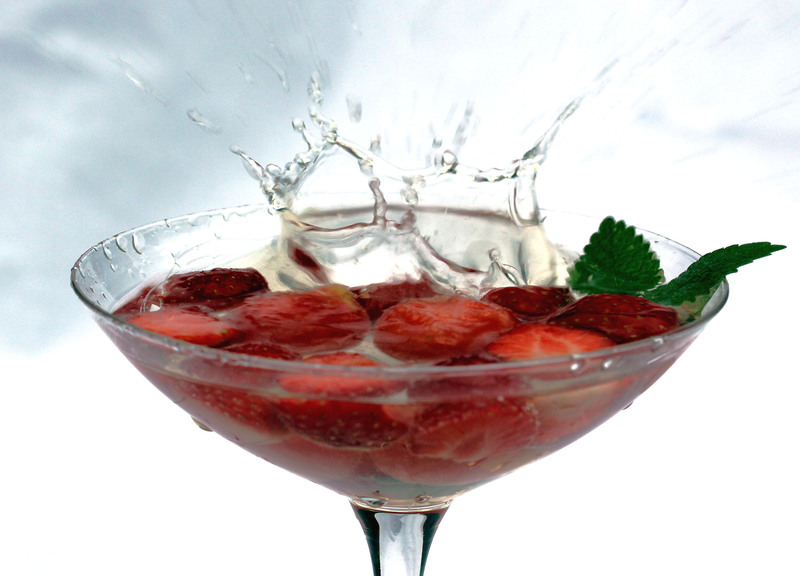 Strawberries and sparkling wine or champagne is a quite common combination and naturally low-carb. I wanted to add something to this combination and thought that crisp watermelon would fit perfectly. As I like everything sweet, I added some stevia for rounding the flavors. First I tried unflavored stevia, but after trying vanilla stevia there was no way back, it was simply scrumptious! 1 teaspoon cherry flavor and 8 fl. oz. (240 ml) chilled club soda. If you are using juice or flavorings, add them at the same time with stevia so that the flavors get mixed, and pour the club soda over each serving just before eating. Hope you have had a great summer!